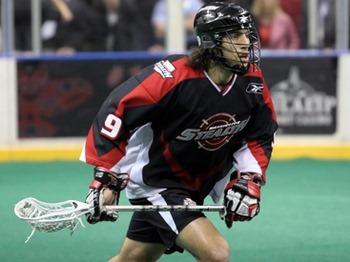 The NLL Draft is not about building for the future. It’s all about now. While I was growing up as a hockey and baseball fan, drafts never interested me. I knew they happened but they were never televised and barely covered in the media at all, and there just wasn’t the hype about these young players that we have now. We all knew the names Sidney Crosby and John Tavares and Connor McDavid and Auston Matthews for months, sometimes years before they ever played an NHL game but a few decades ago, that’s not how it worked. I’d read about the draft results in the newspaper but it never meant anything to me because I don’t follow minor league baseball or hockey, so I’d never heard of any of the drafted players. Most of the time, it didn’t really matter much anyway. Other than the very top draft picks, most players would sit in the farm system for a year or two (or five in baseball) before making the big club. If you remembered any names from the draft after the first round, you might never hear them again, or at least not for a long while. For the players and teams, it’s more of a big deal. Being drafted by a team means they thought highly enough of you that they want you in their system. And even if you can’t contribute right away, they’re willing to wait. It’s somewhat of a commitment. Sure, you can be cut at any time but a team has the option of playing you in the minor leagues for a year or two and see how you adjust to their playing system, get along with teammates and coaches, all that sort of thing. The draft is used to build the team for the future, not just next year. For most fans, the NLL draft is much the same – if you don’t follow the Canadian summer leagues or NCAA, you may not have heard of the players either. I was there last week and I certainly hadn’t heard of most of them. And there will be some whose name you never hear again after the draft. That’s it. Players in the NLL aren’t drafted as much on their long-term potential, it’s all about next year. And this affects who gets drafted, by what team, and when. Take the Toronto Rock for example: they have an older goalie in Brandon Miller and a younger one in Nick Rose. If they have a farm system, they might have drafted a young goalie like Doug Jamieson or Warren Hill and put him in the minors for a year or two for seasoning until Miller retires. Then they have Rose in his prime and a 22-year-old to back him up and everyone’s happy. Or if Miller plays well for a few more years and doesn’t retire, they have either Rose or a 22-year-old goalie as trade bait which nets them Curtis Dickson or Randy Staats or someone like that and still everyone’s happy. But there are no minors to put Jamieson or Hill in. They can’t pick them for the future. If there’s nowhere on the roster for one of them next season, they draft somebody else. This is why the Rock’s choice of 18-year-old Latrell Harris at #12 is a little puzzling. I don’t know anything about the kid, but he’s only 18. 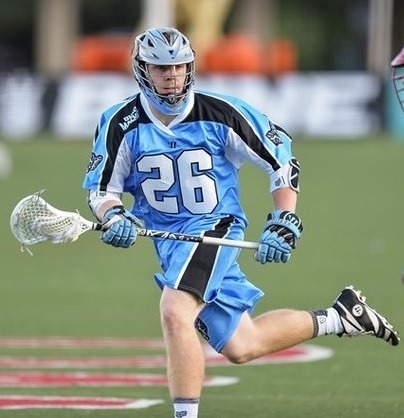 Maybe he’ll be 19 when the season starts, and others like Shawn Evans and Rob Hellyer have excelled in the NLL at that age. And it’s certainly possible I’m underestimating how great a player he is; as I said, I know nothing about him. But if they decide during training camp that he’s too young or too raw, they either have to cut him or leave him out there, and trying to recover from a season where you missed the playoffs is not the best time to be using a roster spot on someone who’s not ready. I only went to one or two CLax games in the few years it was around, and I feel kind of guilty about that now since it’s gone. But if they had partnered with the NLL, I think it could have been great. Imagine NLL teams drafting young players and sending them to CLax, or bringing up players when an injury hits, or using CLax for conditioning players returning from injury. There would have to be a western division of CLax, probably in Vancouver, and perhaps there are other factors that I don’t know about that would have made this impossible. But it seems like it would have been a good idea. There is one exception to what I’ve said above. It is possible to draft someone and hold onto him for the future: a team can put a player on the holdout list. As long as he’s got a contract and doesn’t qualify as a free agent, he can stay there indefinitely. Teams don’t even have to pay players on that list. But the list is limited so you can’t just throw all of your draft picks that didn’t make the roster on the holdout list and keep them as long as you want. A team might use that strategy for one special player, as the Stealth have done with their 2015 draft pick Connor Brown (not the Toronto Maple Leaf). 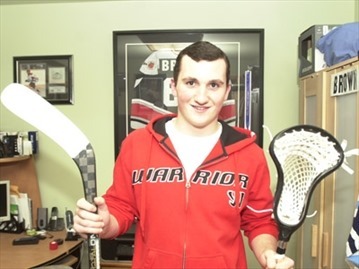 As long as he continues his hockey career, he’ll be unavailable to them but if he ever decides to play in the NLL, the Stealth will own his rights, even if that doesn’t happen for another few years. Thanks a bunch to Teddy Jenner for consultation on the draft and holdout list rules.